The business community applauded Collins' work and effectiveness by awarding her the Alton "Chuck" Cianchette Business Hall of Fame award. 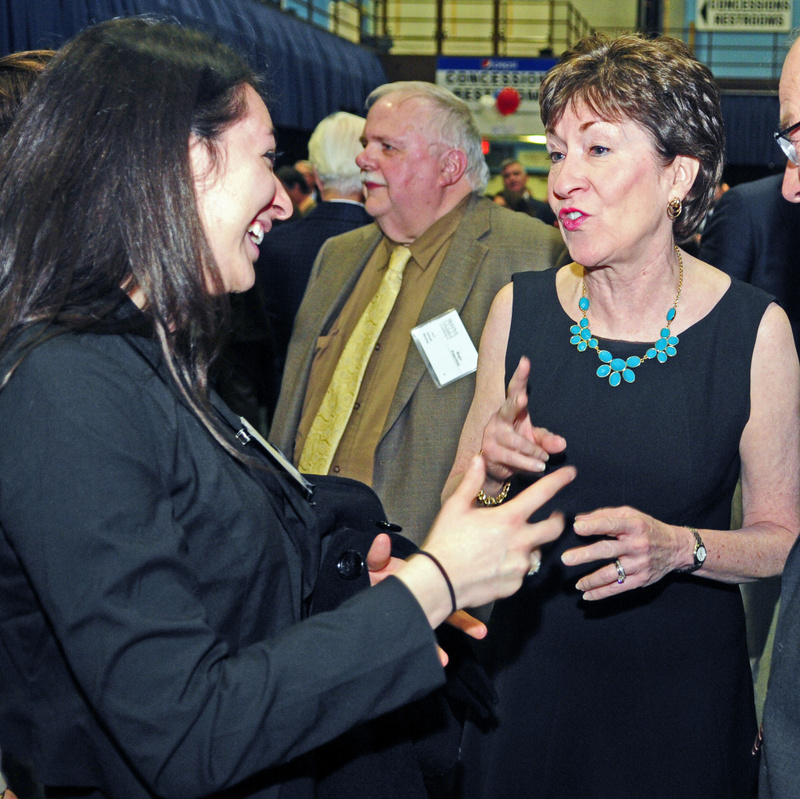 AUGUSTA — In front of a crowd of about 500 business people from across the state, U.S. Sen. Susan Collins, R-Maine, joined an elite list of Maine leaders Friday night. At its annual meeting at the Augusta Civic Center, the Maine State Chamber of Commerce presented Maine’s senior senator with the Alton “Chuck” Cianchette Business Hall of Fame award. Named for Alton “Chuck” Cianchette, the award recognizes the contributions of an individual who demonstrates public service leadership, business success and embodies the spirit of Cianchette through compassion, courage and commitment. Cianchette founded Cianbro Corp. with his three brothers in 1949, and throughout his life, Cianchette served his community as an elected official at the town and state levels and as a volunteer and advocate for a number of community organizations. Connor said Collins was an easy choice for the award because she has distinguished herself through her service to the people of Maine and at a national level because of her ability to find solutions and work across party lines. Collins, who was appointed the commissioner of the Maine Department of Professional and Financial Regulation in 1987, was also the director of the U.S. Small Business Administration’s Boston office. She became the founding director of the Center for Family Business at Husson University after an unsuccessful gubernatorial bid in 1994. She was first elected to the U.S. Senate in 1996 and has been re-elected three times, most recently in 2014. 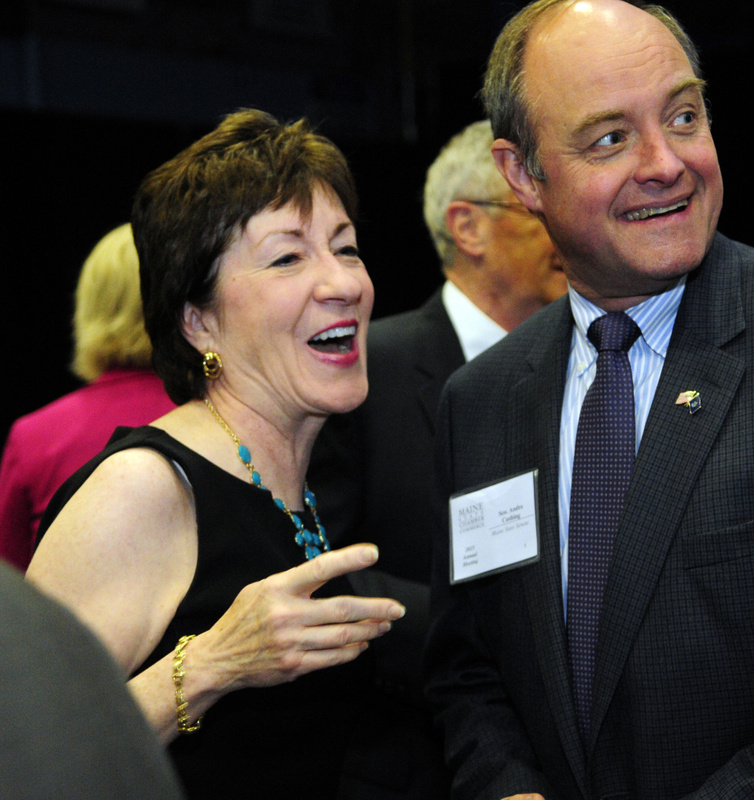 In an interview with the Kennebec Journal, Collins said she’s honored to receive the award. 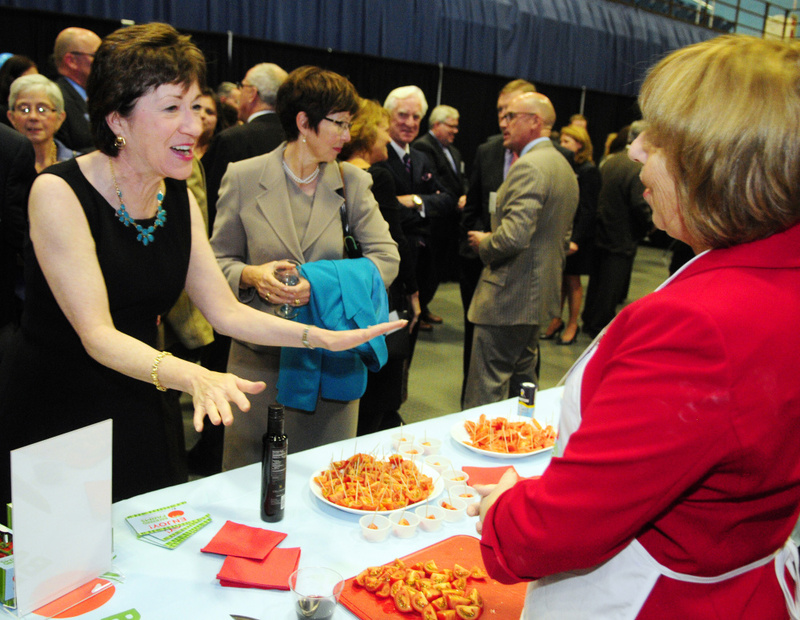 Her work in support of business in Maine dates back to her days of working for the state. She listed her work at the state level to reform the state’s workers’ compensation system as one of her most significant contributions to business. “The state was losing jobs, and employers were struggling to cope with the costs, which were the highest in the nation,” she said. As the ranking Republican and then the chairwoman of the Senate’s Transportation Appropriations Subcommittee, she has been able to secure $110 million in TIGER (Transportation Investment Generating Economic Recovery) grants for projects in Maine, including work at the state’s three ports, bridge improvements, and most recently, funding to improve railroad infrastructure to make moving Maine products out of state more feasible. She’s also pleased to have worked on keeping the heaviest trucks on the interstates and out of downtowns. Now, two of the biggest challenges facing businesses in Maine are energy costs and uncertainty in the tax code. Although the price of heating oil is low now, it could go up at any time, she said. While natural gas is a cheaper alternative for heating, Maine lacks the pipelines needed to bring it into the state and make it widely available. As additional natural gas pipelines are considered, Collins said it’s critical for the Federal Energy Regulatory Commission — whose authority extends to natural gas pipelines — acts with all deliberate speed while ensuring the proper environmental reviews are completed to open up more of the state to natural gas. That will help the state’s manufacturers be more competitive and help homeowners with heating costs, she said. Large and small business owners alike tell her they are looking for more consistency in the tax code, Collins said. Chief among their concerns is Section 179, a provision that governs how much of a write off business owners can take on equipment in a year. Some years, the level is as high as $250,000, but in 2015, the limit is $25,000. Collins said the level is set by provisions that expire, but she has introduced a bill to make it permanent. That lack of certainty and the complexity of the tax code stand in the way of business investment, she said. “Business owners tell me, ‘I can deal with anything; just let me know what the rules are going to be,'” she said. Collins joins a list of political and business leaders that includes former Gov. Ken Curtis, former Sen. Olympia Snowe, then-Gov. Angus King, former L.L. Bean president Leon Gorman and philanthropist Madeleine Corson in the Business Hall of Fame.